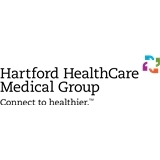 Hartford HealthCare Medical Group (Avon) - Book Appointment Online! I am very glad I consulted Dr. Gronski today. She reviewed my clinical history, asked good questions, and got to the heart of the problem I presented to her. She also ordered tests which addressed my situation in a cost-conscious, efficient manner. I found her thorough, thoughtful and especially appreciated her willingness to share her clinical impressions and thought process with me. Her nurse, Betty, was warm and easy to talk to, which set me at ease from the moment I stepped into the office. Betty called me the same day to share some test results, which also impressed me. I was not left to worry one minute longer than was necessary. That courtesy and sensitivity really impressed me. I was initially attracted to Dr. Gronski's practice based on her medical educational background, hoping her clinical approach was wholistic and patient-centered. I found her to be very interested in my overall health and wellbeing. I am a mostly well older person, hoping to stay that way, and I wanted to establish myself with someone who could address the issues arising from an active lifestyle. I have had past overuse sports injuries, and going forward, I hope Dr. Gronski will help keep me moving in comfort. I am feeling great about my decision to see Dr. Gronski, and highly recommend her. Dr. jaremko has a great work style. I was very comfortable with him. Professional - listened well - patient- knowledgeable.